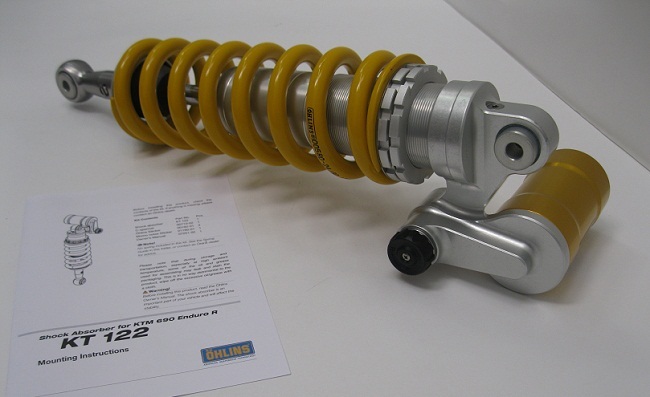 We have a couple of the KT 122 Ohlins shocks left, most everything else is pretty sold out! left, most everything else is sold out. 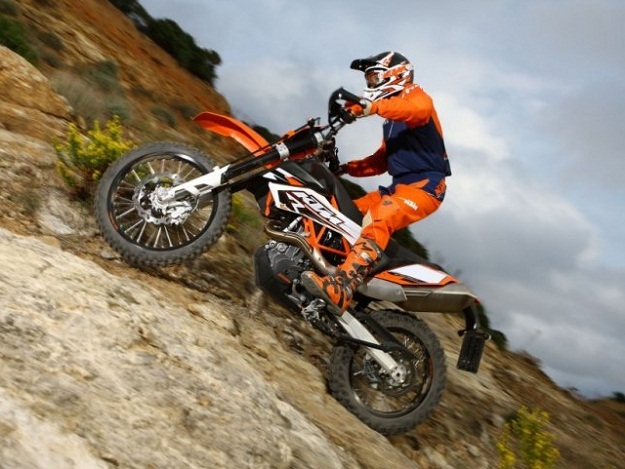 Ktm 690 Enduro R , Ohlins has some shocks and New Fork Kits Shown below. 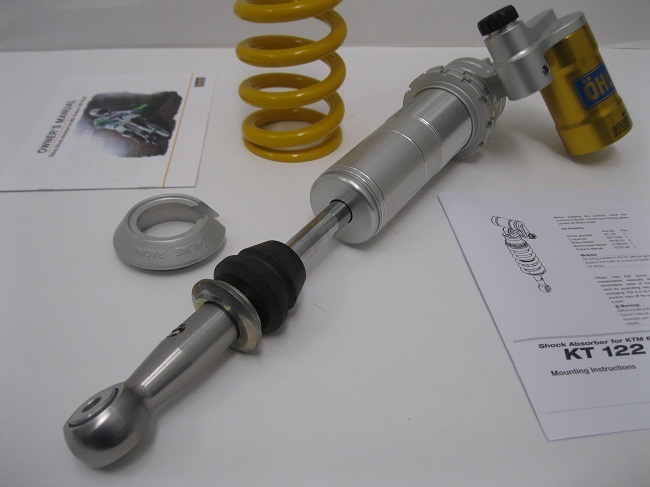 Ohlins has a large 46mm body and 16mm shaft. No machining required on these kits 100% reversible fork cartridge kits. 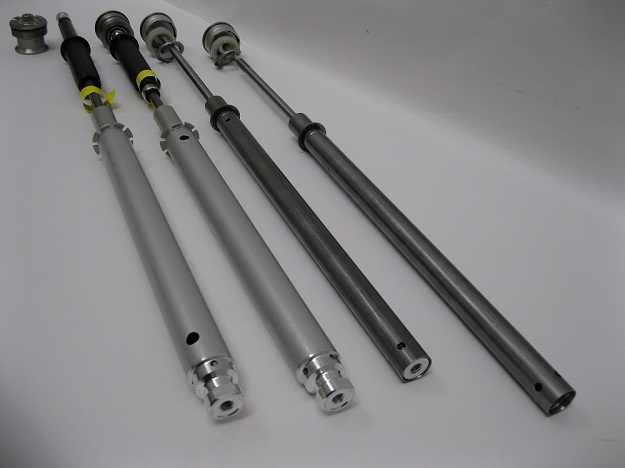 Ohlins 30mm fork kits that replaces every thing from the cap down to the bottom bolt in the forks. The kit has adjustable preload caps full 20mm range with about 20 turns, adjustable compression and rebound. On left (red arrows ) WP stock 22.86mm piston and stamped steel cartridge from the 1970’s. The Ohlins 30mm on right (blue arrows) 4 port piston and giant cartridge on right. Ohlins preload adjustable cap gives a monster 20mm range of function! (about 20 turns). 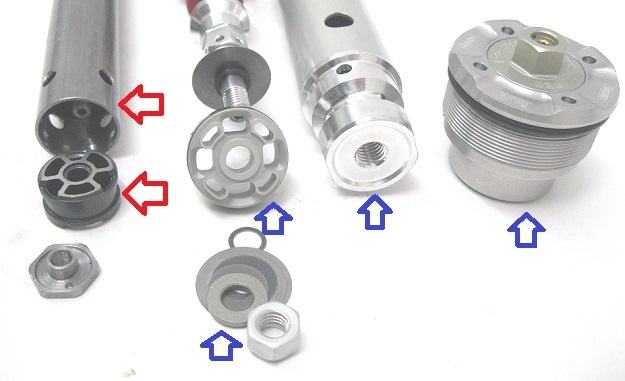 Stock stamped steel WP cartridge (red arrows) has almost no anti bottom out device, a very straight piece of steel tube with minor taper. 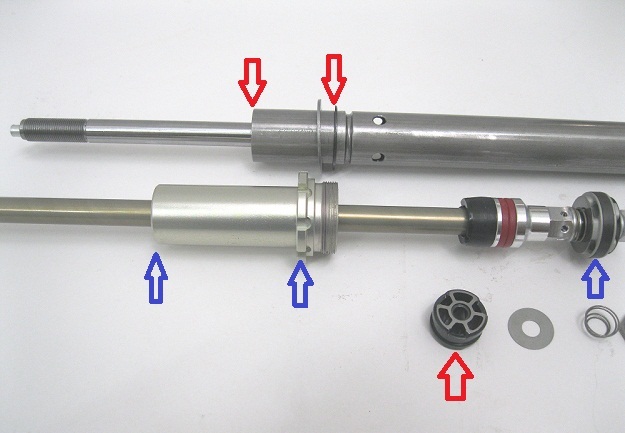 Ohlins (blue arrows) shows tapered anti bottom out cone that is 55mm tall and a 30mm 4 port Ohlins piston with kit. 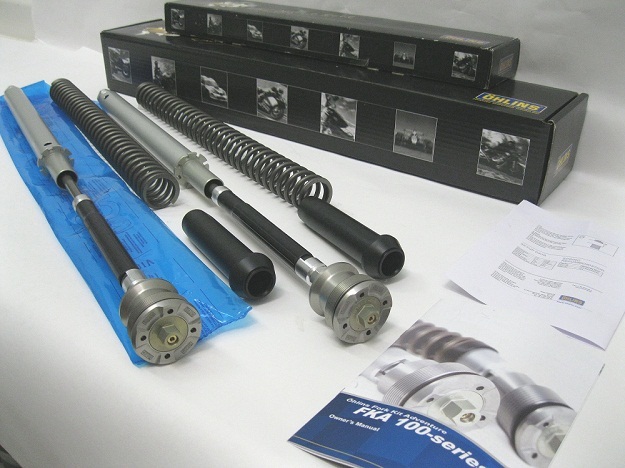 Ohlins Cartridge Kit shown left and the WP stamped steel cartridges from the 1970’s shown right. 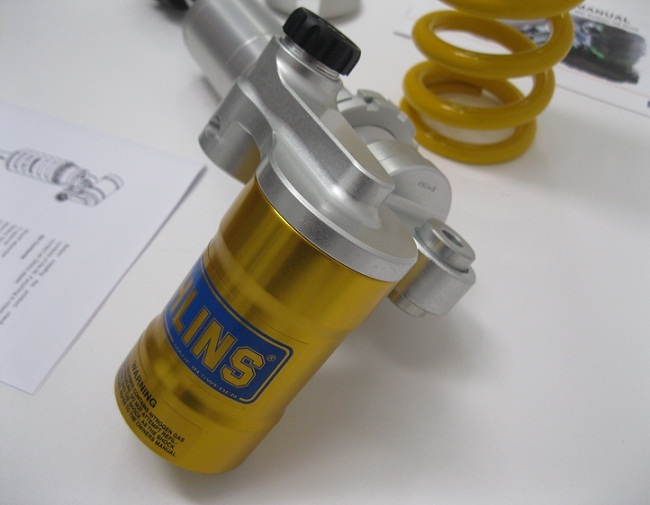 Ohlins Shock with adjustable compression, rebound and any spring rate choice, they have a heavy duty 46mm body and 16mm shaft. 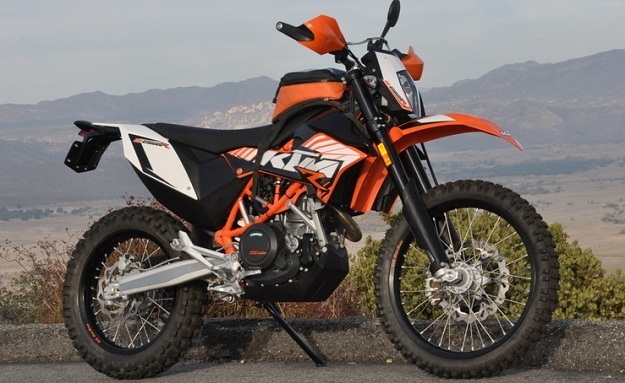 2012-2016 Ktm 690 Enduro R #KT123 Type S46PR1C1 / shock length is 397.5mm eye-to -eye with 85.5 shaft stroke, sold with any spring choice included (Note OEM KTM part # same shock listed 2012-2016 now). 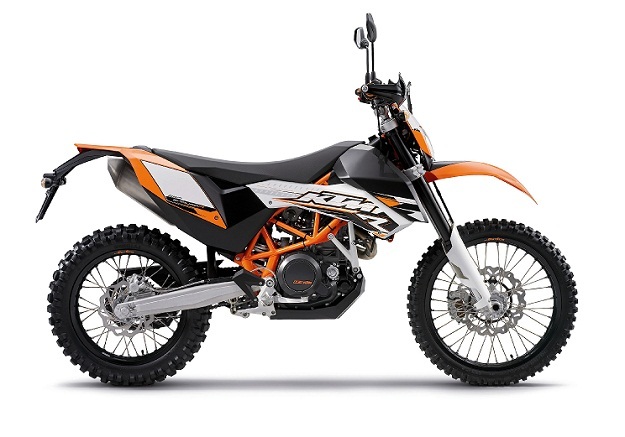 2009-2011 Ktm 690 Enduro R #KT122 Type S46PR1C1 / shock length is 406mm eye-to -eye with 100.5 shaft stroke, sold with any spring rate choice included. 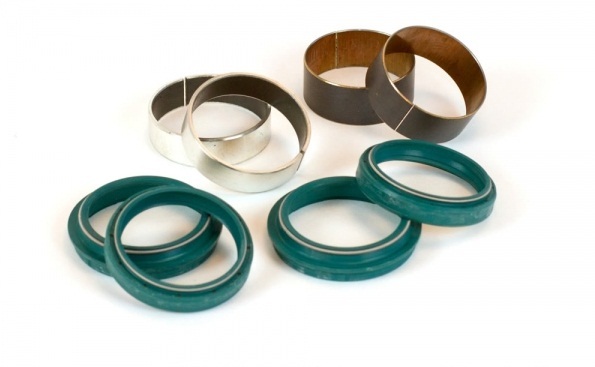 SKF Upgraded seal and bushing kits are a world of improvement.